Bovine Herpesvirus-1 (BoHV-1) is a DNA virus belonging to the family Herpesviridae, subfamily Alfaherpesvirinae; it is a worldwide pathogen, causing serious economic losses in livestock. In Colombia there have been multiple isolates of BoHV-1 that have been subjected to molecular characterization, classifying most of the country isolates as BoHV-1.1. In the present study we developed and evaluated an ethyleneimine binary inactivated isolate from the native BoHV-1 strain (Córdoba-2) in a rabbit model of vaccination and infection. The vaccine was evaluated in two phases, one of immunogenicity with vaccination and a booster after 21 days, and an evaluation phase of protection against challenge with a highly virulent reference strain. 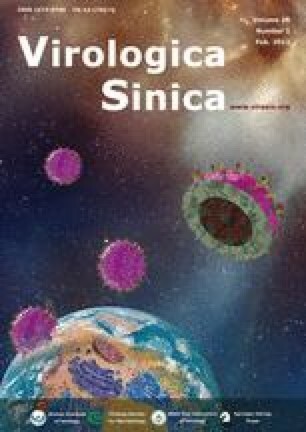 The results demonstrate optimum serum-conversion, with protective neutralizing antibody titers 28 days post vaccination and optimal protection against challenge with the reference strain with decreased clinical signs of infection, protection against the onset of fever and decrease of virus excretion post challenge. In conclusion, our results show the enormous potential that an immunogenic inactivated vaccine has produced from the native BoHV-1.1 strain, which produces a high antigen mass to the vaccine to induce optimal immunity and protection, and it is a strong candidate for evaluation and possible future use in different cattle populations. Foundation items: This study was supported by the División de Investigación Universidad Nacional de Colombia, grants No.20201007738 and 202010013254. Julian Ruiz-Sáenz had received a PhD Fellowship from COLCIENCIAS.